I hope you know I’m not being serious with the above product concept. 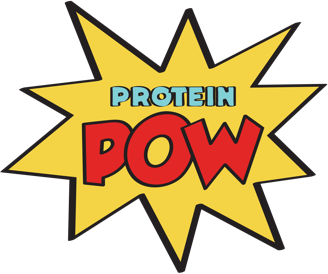 It’s the antithesis of what I and Protein Pow stand for. It’s my anti-product, really! Because I’m vehemently opposed to gendered food products. Why? Because they cater to misinformation. It’s kind of like with exercise, you know? Far too many products, publications, and even exercise programs out there support the idea that women should somehow train differently to men, otherwise they’ll get bulky (do read my friend Adam’s article on The Tracy Anderson method, it’s a GEM). The reality is, women who lift heavy weights, follow a healthy balanced diet, and include gender-neutral (i.e. NORMAL) protein in their day to day lives, won’t transform into female versions of the Hulk. It’s just physically impossible! They’ll just end up feeling better, performing better, and overall looking better too. So yeah! Don’t buy into women-only products. Look at them as if they were a 24/7 April Fools’ Day Prank. Want to arm yourself further in the battle against women-only proteins and food products? Check out my article on How to Get a Bikini Body. Also, check out the article I wrote on protein powders for women in particular!